PHOENIX – The certification of this year’s general election results Monday officially triggered the state’s first-ever recount in a congressional race. Gov. Jan Brewer, Attorney General Tom Horne and Chief Justice Scott Bales were on hand to sign the canvass detailed by Secretary of State Ken Bennett. It showed U.S. Rep. Ron Barber, D-Tucson, trailing Republican Martha McSally by 161 votes in the 2nd Congressional District. By Arizona law, a margin of 200 votes or fewer automatically triggers a recount. “This is the first time, that I know, that we have a congressional race at the general election within the automatic recount threshold of 200 votes or less,” Bennett said. 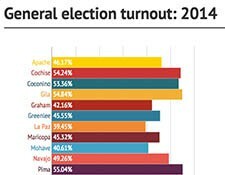 The canvass showed that 48 percent of Arizona’s 3.2 million voters cast ballots. “Voter turnout was down, but there’s always usually an explanation, and this was the first year in many years where we didn’t have a U.S. Senate race on the ballot,” Bennett said. Turnout was 57 percent in the 2nd Congressional District, which includes much of Tucson and all of Cochise County. The result won’t be official until all 219,000 ballots are counted again, Bennett said. A Superior Court judge to must authorize the recount based on the canvass. Bennett said his office and the Attorney General’s Office decided to set the deadline for Dec. 16. The last recount at the state level was 2010, when Proposition 112, which would moved up the deadline to file petitions for citizens initiatives, trailed by 126 votes in the official canvass. The recount confirmed that the measure failed, though the margin increased to 192 votes. Bennett said situations like these should remind voters how crucial their votes are. 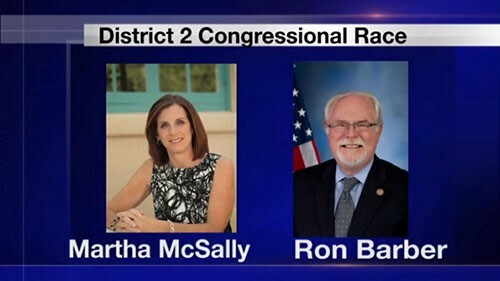 Election season may be over, but the race between McSally and Barber continues on. Why voter turnout could be the cause for the recount. Gov. 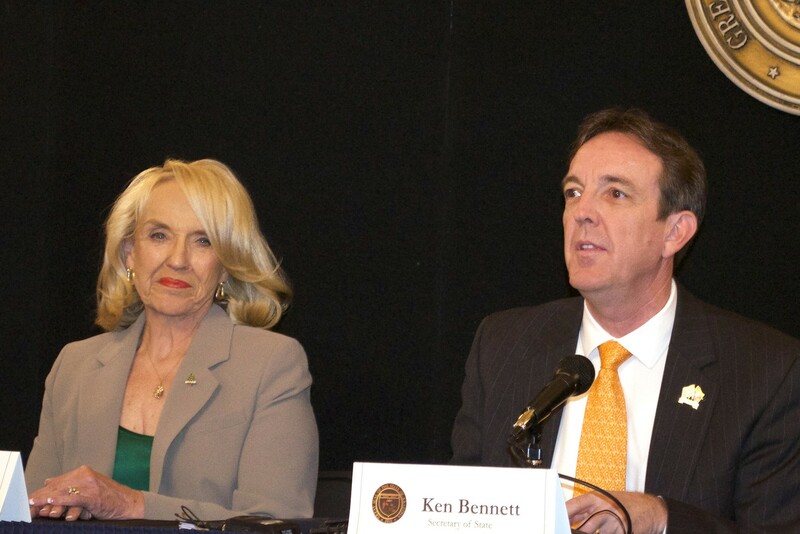 Jan Brewer watches as Secretary of State Ken Bennett explains the official canvass of general election results.